Kuwahara T. Intracardiac Echocardiography in Catheter Ablation for Atrial Fibrillation: It Is Better to See What You Are Doing? JAFIB. 2015 [cited 2015 Aug 11];7. Kuwahara T, Takahashi A, Takahashi Y, Okubo K, Takagi K, Fujino T, Kusa S, Takigawa M, Watari Y, Yamao K, Nakashima E, Kawaguchi N, Hikita H, Sato A, Aonuma K. Incidences of esophageal injury during esophageal temperature monitoring: a comparative study of a multi-thermocouple temperature probe and a deflectable temperature probe in atrial fibrillation ablation. J Interv Card Electrophysiol Int J Arrhythm Pacing. 2014;39:251–257. Kuwahara T, Takahashi A, Okubo K, Takagi K, Yamao K, Nakashima E, Kawaguchi N, Takigawa M, Watari Y, Sugiyama T, Handa K, Kimura S, Hikita H, Sato A, Aonuma K. Oesophageal cooling with ice water does not reduce the incidence of oesophageal lesions complicating catheter ablation of atrial fibrillation: randomized controlled study. Europace. 2014;16:834–839. 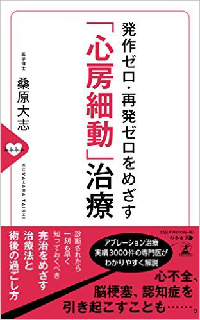 Kuwahara T, Takahashi A, Takahashi Y, Kobori A, Miyazaki S, Takei A, Fujino T, Okubo K, Takagi K, Fujii A, Takigawa M, Watari Y, Hikita H, Sato A, Aonuma K. Prevention of periprocedural ischemic stroke and management of hemorrhagic complications in atrial fibrillation ablation under continuous warfarin administration. J Cardiovasc Electrophysiol. 2013;24:510–515. 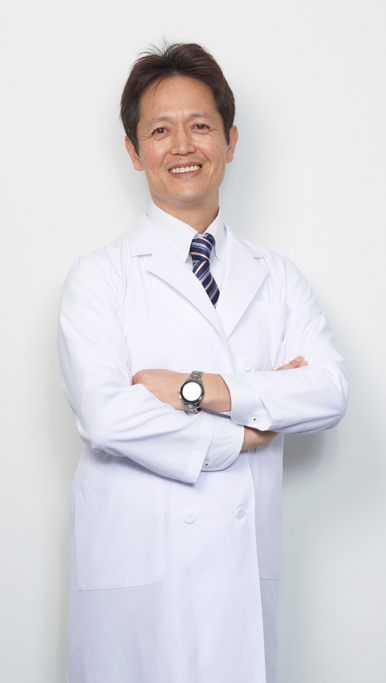 Kuwahara T, Takahashi A, Takahashi Y, Kobori A, Miyazaki S, Takei A, Fujino T, Okubo K, Takagi K, Fujii A, Takigawa M, Watari Y, Hikita H, Sato A, Aonuma K. Clinical Characteristics and Management of Periesophageal Vagal Nerve Injury Complicating Left Atrial Ablation of Atrial Fibrillation: Lessons from Eleven Cases. J Cardiovasc Electrophysiol. 2013; 24:847-851. Kuwahara T, Takahashi A. Periesophageal vagal nerve injury complicating atrial fibrillation ablation. Circ J. 2013;77:1984–1985. Kuwahara T, Takahashi A, Takahashi Y, Kobori A, Miyazaki S, Takei A, Fujii A, Kusa S, Yagishita A, Okubo K, Fujino T, Nozato T, Hikita H, Sato A, Aonuma K. Clinical characteristics of massive air embolism complicating left atrial ablation of atrial fibrillation: lessons from five cases. Europace. 2012;14:204–208. Kuwahara T, Takahashi A, Kobori A, Miyazaki S, Takahashi Y, Takei A, Nozato T, Hikita H, Sato A, Aonuma K. Safe and effective ablation of atrial fibrillation: importance of esophageal temperature monitoring to avoid periesophageal nerve injury as a complication of pulmonary vein isolation. J Cardiovasc Electrophysiol. 2009;20:1–6. Kuwahara T, Hamada M, Hiwada K. Direct evidence of impaired cardiac sympathetic innervation in essential hypertensive patients with left ventricular hypertrophy. J Nucl Med. 1998;39:1486–1491. Kuwahara T, Hamada M, Inoue Y, Aono S, Hiwada K. Warfarin-induced eosinophilic pleurisy. Intern Med. 1995;34:794–796. Hishikari K, Kimura S, Yamakami Y, Kojima K, Sagawa Y, Otani H, Sugiyama T, Kuwahara T, Hikita H, Takahashi A, Isobe M. The prognostic value of the serum eicosapentaenoic acid to arachidonic acid ratio in relation to clinical outcomes after endovascular therapy in patients with peripheral artery disease caused by femoropopliteal artery lesions. Atherosclerosis. 2015;239:583-588. Okubo K, Kuwahara T, Takagi K, Takigawa M, Nakajima J, Watari Y, Nakashima E, Yamao K, Fujino T, Tsutsui H, Takahashi A. Relation between dabigatran concentration, as assessed using the direct thrombin inhibitor assay, and activated clotting time/activated partial thromboplastin time in patients with atrial fibrillation. Am J Cardiol. 2015;115:1696–1699. Takigawa M, Kuwahara T, Okubo K, Takahashi A. Sudden manifestation of sinus arrest nine months after catheter ablation treatment for persistent atrial fibrillation. J Arrhythmia. 2015;31:238-239. Takigawa M, Kuwahara T, Takahashi A, Okubo K, Takahashi Y, Nakashima E, Yamao K, Watari Y, Nakajima J, Takagi K, Fujino T, Kimura S, Hikita H, Hirao K, Isobe M. Simultaneous isolation of superior and inferior pulmonary veins on both the left and right sides could yield better outcomes in patients with paroxysmal atrial fibrillation. Europace. 2015;17:732–740. Takigawa M, Takahashi A, Kuwahara T, Hirao K, Isobe M. Catheter ablation of atrial fibrillation and thromboembolic risk - reply. Circ J Off J Jpn Circ Soc. 2015;79:445. Takigawa M, Takahashi A, Kuwahara T, Okubo K, Takahashi Y, Nakashima E, Watari Y, Yamao K, Nakajima J, Takagi K, Kimura S, Hikita H, Hirao K, Isobe M. Impact of Non-Pulmonary Vein Foci on the Outcome of the Second Session of Catheter Ablation for Paroxysmal Atrial Fibrillation. J Cardiovasc Electrophysiol. 2015;26:739–746. Hikita H, Kuroda S, Oosaka Y, Kawaguchi N, Nakashima E, Sugiyama T, Akiyama D, Kamiishi T, Kimura S, Takahashi Y, Kuwahara T, Sato A, Takahashi A, Isobe M. Response to the letter to the editor "Can statins alter coronary plaque morphology assessed by intravascular ultrasound?" Angiology. 2014;65:552. Hishikari K, Kuwahara T, Takahashi A, Isobe M. Severe coronary artery spasm during radiofrequency ablation for atrial fibrillation. Int J Cardiol. 2014;172:e513-515. Miyazaki S, Takigawa M, Kusa S, Kuwahara T, Taniguchi H, Okubo K, Nakamura H, Hachiya H, Hirao K, Takahashi A, Iesaka Y. Role of arrhythmogenic superior vena cava on atrial fibrillation. J Cardiovasc Electrophysiol. 2014;25:380–386. Miyazaki S, Takigawa M, Taniguchi H, Kuwahara T, Kusa S, Okubo K, Nakamura H, Hachiya H, Hirao K, Takahashi A, Iesaka Y. Prevalence of atrial flutter in patients with and without arrhythmogenic superior vena cava during pulmonary vein isolation. Int J Cardiol. 2014;172:e157–158. Takigawa M, Takahashi A, Kuwahara T, Okubo K, Takahashi Y, Watari Y, Takagi K, Fujino T, Kimura S, Hikita H, Tomita M, Hirao K, Isobe M. Long-term follow-up after catheter ablation of paroxysmal atrial fibrillation: the incidence of recurrence and progression of atrial fibrillation. Circ Arrhythm Electrophysiol. 2014;7:267-273. Takigawa M, Takahashi A, Kuwahara T, Takahashi Y, Okubo K, Nakashima E, Watari Y, Nakajima J, Takagi K, Yamao K, Fujino T, Sugiyama T, Kimura S, Hikita H, Irioka T, Hirao K, Isobe M. Late-phase thromboembolism after catheter ablation for paroxysmal atrial fibrillation. Circ J. 2014;78:2394–2401. Takigawa M, Takahashi A, Kuwahara T, Okubo K, Takahashi Y, Watari Y, Takagi K, Fujino T, Kimura S, Hikita H, Tomita M, Hirao K, Isobe M. Long-term follow-up after catheter ablation of paroxysmal atrial fibrillation: the incidence of recurrence and progression of atrial fibrillation. Circ Arrhythm Electrophysiol. 2014;7:267–273. Hikita H, Kuroda S, Oosaka Y, Kawaguchi N, Nakashima E, Sugiyama T, Akiyama D, Kamiishi T, Kimura S, Takahashi Y, Kuwahara T, Sato A, Takahashi A, Isobe M. Impact of statin use before the onset of acute myocardial infarction on coronary plaque morphology of the culprit lesion. Angiology. 2013;64:375-378. Hikita H, Shigeta T, Kojima K, Oosaka Y, Hishikari K, Kawaguchi N, Nakashima E, Sugiyama T, Akiyama D, Kamiishi T, Kimura S, Takahashi Y, Kuwahara T, Sato A, Takahashi A, Isobe M. Lipoprotein(a) is an important factor to determine coronary artery plaque morphology in patients with acute myocardial infarction. Coron Artery Dis. 2013;24:381-385. Takigawa M, Kuwahara T, Takahashi A, Watari Y, Okubo K, Takahashi Y, Takagi K, Kuroda S, Osaka Y, Kawaguchi N, Yamao K, Nakashima E, Sugiyama T, Akiyama D, Kamiishi T, Kimura S, Hikita H, Hirao K, Isobe M. Differences in catheter ablation of paroxysmal atrial fibrillation between males and females. Int J Cardiol. 2013;168:1984-1991. Miyazaki S, Kobori A, Komatsu Y, Kuwahara T, Uchiyama T, Kusa S, Taniguchi H, Hachiya H, Hirao K, Isobe M, Takahashi A, Iesaka Y. Clinical implication of adenosine test at repeat atrial fibrillation ablation procedure: the importance of detecting dormant thoracic vein conduction. Circ Arrhythm Electrophysiol. 2012;5:1117–1123. Miyazaki S, Kuwahara T, Takahashi A. Dormant conduction between contiguous pulmonary veins after pulmonary vein antrum isolation. J Cardiovasc Electrophysiol. 2012;23:105. Miyazaki S, Kuwahara T, Takahashi A. Confined driver of atrial fibrillation in the superior vena cava. J Cardiovasc Electrophysiol. 2012;23:440. Miyazaki S, Kuwahara T, Takahashi A. Impact of the preprocedural frequency of paroxysmal atrial fibrillation on the clinical outcome after catheter ablation. PACE. 2012;35:1236–1241. Miyazaki S, Shah AJ, Kobori A, Kuwahara T, Takahashi A. How to approach reentrant atrial tachycardia after atrial fibrillation ablation. Circ Arrhythm Electrophysiol. 2012;5:e1–7. Miyazaki S, Kuwahara T, Kobori A, Takahashi A. Atrial fibrillation resistant to electrical cardioversion. Int J Cardiol. 2011;151:e80–81. Miyazaki S, Kuwahara T, Kobori A, Takahashi Y, Takei A, Sato A, Isobe M, Takahashi A. Long-term clinical outcome of extensive pulmonary vein isolation-based catheter ablation therapy in patients with paroxysmal and persistent atrial fibrillation. Heart Br Card Soc. 2011;97:668–673. Miyazaki S, Kuwahara T, Kobori A, Takahashi Y, Takei A, Sato A, Isobe M, Takahashi A. Preprocedural predictors of atrial fibrillation recurrence following pulmonary vein antrum isolation in patients with paroxysmal atrial fibrillation: long-term follow-up results. J Cardiovasc Electrophysiol. 2011;22:621–625. Miyazaki S, Kuwahara T, Kobori A, Takahashi Y, Takei A, Sato A, Isobe M, Takahashi A. Prevalence, electrophysiological properties, and clinical implications of dissociated pulmonary vein activity following pulmonary vein antrum isolation. Am J Cardiol. 2011;108:1147–1154. Takahashi Y, Takahashi A, Kuwahara T, Okubo K, Fujino T, Takagi K, Nakashima E, Kamiishi T, Hikita H, Hirao K, Isobe M. Renal function after catheter ablation of atrial fibrillation. Circulation. 2011;124:2380–2387. Yagishita A, Takahashi Y, Takahashi A, Fujii A, Kusa S, Fujino T, Nozato T, Kuwahara T, Hirao K, Isobe M. Incidence of late thromboembolic events after catheter ablation of atrial fibrillation. Circ J Off J Jpn Circ Soc. 2011;75:2343–2349. Miyazaki S, Kuwahara T, Kobori A, Takahashi Y, Takei A, Sato A, Isobe M, Takahashi A. Catheter ablation of atrial fibrillation in patients with valvular heart disease: long-term follow-up results. J Cardiovasc Electrophysiol. 2010;21:1193–1198. Sato A, Nozato T, Hikita H, Miyazaki S, Takahashi Y, Kuwahara T, Takahashi A, Hiroe M, Aonuma K. Incremental value of combining 64-slice computed tomography angiography with stress nuclear myocardial perfusion imaging to improve noninvasive detection of coronary artery disease. J Nucl Cardiol Off Publ Am Soc Nucl Cardiol. 2010;17:19–26. Sato A, Ohigashi H, Nozato T, Hikita H, Tamura M, Miyazaki S, Takahashi Y, Kuwahara T, Takahashi A, Hiroe M, Aonuma K. Coronary artery spatial distribution, morphology, and composition of nonculprit coronary plaques by 64-slice computed tomographic angiography in patients with acute myocardial infarction. Am J Cardiol. 2010;105:930–935. Takahashi Y, Takahashi A, Kuwahara T, Fujino T, Okubo K, Kusa S, Fujii A, Yagishita A, Miyazaki S, Nozato T, Hikita H, Hirao K, Isobe M. Clinical characteristics of patients with persistent atrial fibrillation successfully treated by left atrial ablation. Circ Arrhythm Electrophysiol. 2010;3:465–471. Hikita H, Sato A, Nozato T, Kawashima T, Takahashi Y, Kuwahara T, Takahashi A. Low coronary flow velocity and shear stress predict restenosis after sirolimus-eluting stent implantation. Scand Cardiovasc J SCJ. 2009;43:298-303. Miyazaki S, Kuwahara T, Kobori A, Takahashi Y, Takei A, Sato A, Isobe M, Takahashi A. Pharmacological cardioversion preceding left atrial ablation: bepridil predicts the clinical outcome following ablation in patients with persistent atrial fibrillation. Europace. 2009;11:1620–1623. Miyazaki S, Kuwahara T, Kobori A, Takahashi Y, Takei A, Sato A, Takahashi A, Isobe M. Adenosine triphosphate exposes dormant pulmonary vein conduction responsible for recurrent atrial tachyarrhythmias: importance of evaluating the dormant conduction during the re-do ablation procedure. Circ J. 2009;73:1160–1162. Takahashi A, Kuwahara T, Takahashi Y. Complications in the catheter ablation of atrial fibrillation: incidence and management. Circ J Off J Jpn Circ Soc. 2009;73:221-226. Takahashi Y, Takahashi A, Miyazaki S, Kuwahara T, Takei A, Fujino T, Fujii A, Kusa S, Yagishita A, Nozato T, Hikita H, Sato A, Hirao K, Isobe M. Electrophysiological characteristics of localized reentrant atrial tachycardia occurring after catheter ablation of long-lasting persistent atrial fibrillation. J Cardiovasc Electrophysiol. 2009;20:623–629. Miyazaki S, Kuwahara T, Takahashi A, Kobori A, Takahashi Y, Nozato T, Hikita H, Sato A, Aonuma K, Hirao K, Isobe M. Effect of left atrial ablation on the quality of life in patients with atrial fibrillation. Circ J. 2008;72:582–587. Miyazaki S, Takahashi A, Kuwahara T, Kobori A, Yokoyama Y, Nozato T, Sato A, Aonuma K, Hirao K, Isobe M. Randomized comparison of the continuous vs point-by-point radiofrequency ablation of the cavotricuspid isthmus for atrial flutter. Circ J Off J Jpn Circ Soc. 2007;71:1922–1926. Kodama-Takahashi K, Suzuki J, Watanabe A, Ohtsuka T, Hashida H, Ikeda S, Kuwahara T, Hara Y, Shigematsu Y, Hamada M, Hiwada K. Ischemia in the territory of the first major septal perforator branch anomalously originating from the first diagonal branch leads to a transient leftward shift of the QRS axis in the frontal plane: a case report. Circ J Off J Jpn Circ Soc. 2003;67:885–888. Hara Y, Hamada M, Shigematsu Y, Suzuki M, Kodama K, Kuwahara T, Hashida H, Ikeda S, Ohtsuka T, Hiasa G, Hiwada K. Effect of beta-blocker on left ventricular function and natriuretic peptides in patients with chronic heart failure treated with angiotensin-converting enzyme inhibitor. Jpn Circ J. 2000;64:365–369. vHiasa G, Hamada M, Kodama K, Watanabe S, Ohtsuka T, Ikeda S, Hashida H, Kuwahara T, Hara Y, Shigematsu Y, Hiwada K. Apical hypertrophic cardiomyopathy associated with life-threatening paroxysmal atrial flutter with a slow ventricular response: a case report. Jpn Circ J. 2000;64:225–228. Kodama K, Hiasa G, Ohtsuka T, Ikeda S, Hashida H, Kuwahara T, Hara Y, Shigematsu Y, Hamada M, Hiwada K. Transient U wave inversion during treadmill exercise testing in patients with left anterior descending coronary artery disease. Angiology. 2000;51:581–589. Kodama K, Hamada M, Kuwahara T, Nakamura M, Shigematsu Y, Hiwada K, Iwata T, Hoshii Y, Ishihara T. Rest-redistribution thallium-201 myocardial scintigraphic study in cardiac amyloidosis. Int J Card Imaging. 1999;15:371–378. Hamada M, Kuwahara T, Shigematsu Y, Kodama K, Hara Y, Hashida H, Ikeda S, Ohtsuka T, Nakata S, Hiwada K. Relation between coronary blood flow and left ventricular mass in hypertension: noninvasive quantification of coronary blood flow by thallium-201 myocardial scintigraphy. Hypertens Res Off J Jpn Soc Hypertens. 1998;21:227–234. Hashida H, Hamada M, Shigematsu Y, Ikeda S, Kuwahara T, Kawakami H, Hara Y, Kodama K, Kohara K, Hiwada K. Beneficial hemodynamic effects of oral prostacyclin (PGI2) analogue, beraprost sodium, on a patient with primary pulmonary hypertension--a case report. Angiology. 1998;49:161–164. Ohtsuka T, Hamada M, Hara Y, Kuwahara T, Kodama K, Shigematsu Y, Iwata T, Hiwada K. An early systolic sound associated with midventricular obstruction in a patient with hypertrophic cardiomyopathy. Jpn Circ J. 1998;62:385–388. Ohtsuka T, Hamada M, Kodama K, Ikeda S, Hashida H, Kuwahara T, Hara Y, Shigematsu Y, Hiwada K. Marked attenuation of mitral regurgitation by stent implantation: a patient with unstable angina. J Cardiol. 1998;31 Suppl 1:91–95; discussion 96. Shigematsu Y, Hamada M, Ohtsuka T, Hashida H, Ikeda S, Kuwahara T, Hara Y, Kodama K, Hiwada K. Left ventricular geometry as an independent predictor for extracardiac target organ damage in essential hypertension. Am J Hypertens. 1998;11:1171–1177. Hashida H, Hamada M, Ikeda S, Kuwahara T, Okayama H, Hara Y, Kodama K, Shigematsu Y, Kazatani Y, Tomino T, Satoh H, Hiwada K. [Mitral prosthetic valve replaced twice due to repeated prosthetic valve endocarditis: a case report]. J Cardiol. 1997;29 Suppl 2:137–141. Hamada M, Shigematsu Y, Kobayashi T, Kodama K, Hayashi Y, Hara Y, Okayama H, Kawakami H, Kuwahara T, Ikeda S, Hashida H, Hiwada K. [Familial hypertrophic cardiomyopathy generating a marked left ventricular pressure gradient in an 82-year-old woman]. Nihon Ronen Igakkai Zasshi Jpn J Geriatr. 1996;33:284–292. Matsunaka T, Hara Y, Ikeda S, Hashida H, Kuwahara T, Kawakami H, Okayama H, Hayashi Y, Kodama K, Shigematsu Y, Kohara K, Hamada M, Hiwada K. [A 66-year-old woman with a patent ductus arteriosus and no significant progression of pulmonary arterial pressure over 17 years]. Nihon Ronen Igakkai Zasshi Jpn J Geriatr. 1996;33:697–701.